Old Cyrus thought he had killed off the scythe for good when he invented the mechanical reaper. The scythe has mowed hay for fodder and harvested grain for bread since the Roman Empire, and its diminutive cousin, the sickle, was used in the times of Cyrus the Great and the Ancient Egyptians. No one lamented its passing, least of all Cyrus whose patents made him a fortune, and the little factories that manufactured the Anglo-American type closed one by one. 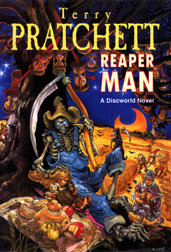 Until its resurrection, the scythe only provided service in Reaper stories. I bought a scythe from an old man for $20. Its blade was rusty and the snath riddled with woodworm, but a grindstone restored a keen edge. After casting it across swaths of stiltgrass, I leaned back to look at the weeds leveled in neat swatches around me, but it was heavy work and the bent snath forced me to stoop unnaturally. I doubt if a farmer who had hung up his scythe in the 19th Century could foresee a time when suburban man might take it down again, except as a museum piece. Without mechanization, prairie farms would still be tiny, and how would we have harvested enough food for a burgeoning population? Besides, machines liberated field labor for more agreeable pursuits. But scythes are mowing again. 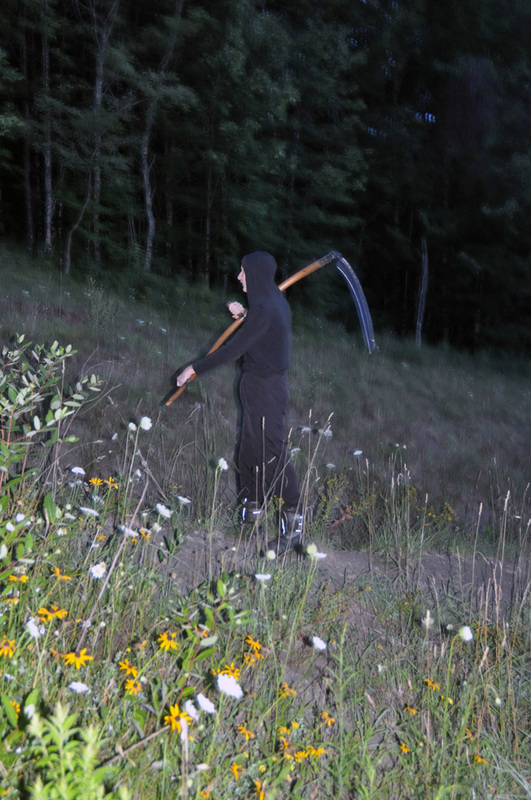 They may never return as a tool of a trade, but scythes offer healthy exercise for sedentary suburbanites (instead of pulling levers in expensive sports clubs) at the same time as fresh air and sounds of nature (instead of being drowned out with a smoky, gas-guzzling weed-whacker). Farmers of yore who swayed while singing hymns in little white churches would be amazed to see the new piety of suburban man rolling with his scythe over devilish weeds. But I admit that any virtuous feelings I ever had of being in tune with nature and drawing energy from my silent internal combustion engines (mitochondria) vanished after a half-hour workout, leaving my limbs aching and stiltgrass insolently upright. 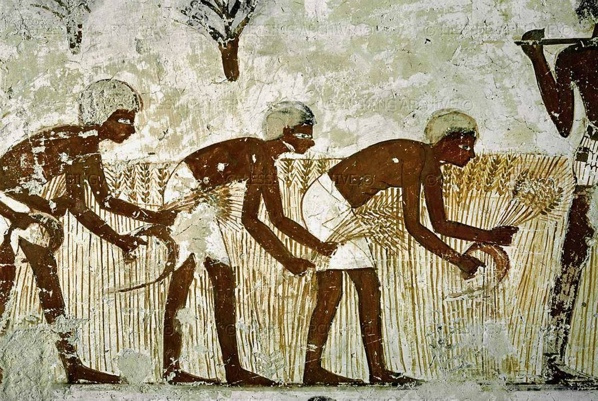 Were pre-Industrial age farmers Herculean? I hung up my scythe to forget about it. Then I discovered another type of scythe, one that really could sustain virtue—the Austrian scythe! It became my favorite tool. 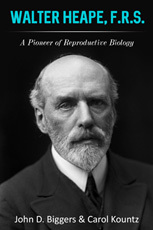 It made me an ardent enthusiast. It gave me a new vocabulary of almost obsolete terms: honing, peening, snath, tang, and chine. Every part and corner of the scythe—from nib to toe—was carefully named by folk for whom it brought home their daily bread. It is a cool tool but Lederhosen, suspenders, and a felt Alpine hat are not mandatory garb for users. And, being so much lighter than the Anglo-American type, women can swing with it too. The blade is razor sharp, but this isn’t a dangerous tool like a sickle which like its sister, the machete, can accidentally clip a passer-by or even yourself in a weed frenzy. It was never used as a weapon, being too ungainly and designed to be swept like a broom an inch over the ground. 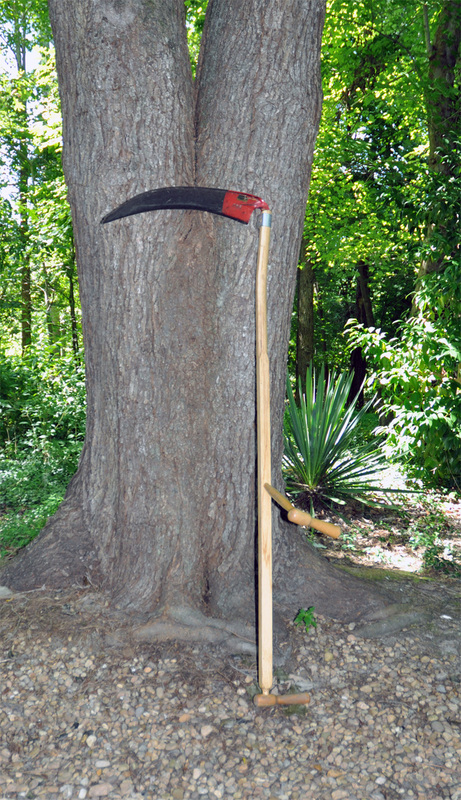 My new scythe is a breeze to use since it was custom-made for my height and arm-length. Cut half-an-acre of hay a day? No bother, mate. Cut brush, ditches, even mow the lawn with the grass blade. Piece of cake. The rhythm of the blade swings to a mowing song. 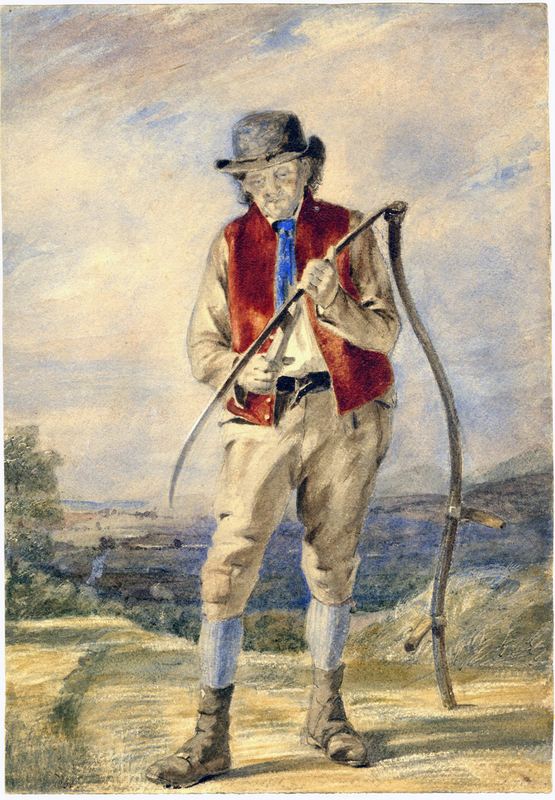 The Scythesman by John Prescott Knight, 1852. Trustees of the British Museum. A new Austrian scythe admittedly costs a tad more than $20, but you are buying something that has been hand-forged by a craftsman after a lengthy apprenticeship in a European foundry going back centuries. The cutting edge is drawn out by hammering on a peening jig, and finished by honing with a whetstone. More than an heirloom, more than a good tool, it is an object of beauty. Modern scything is heading for cult status in parts of North America and Europe, encouraged by associations and competitions that are springing up. Don’t imagine it is the pedestrian equivalent of a quaint steam tractor chugging into a state agricultural show—a fit man can match a motor-mower or weed-whacker in leveling a grass field. Perhaps there is an Olympic sport in the making, though Old Cyrus would shake his head. SHARPENING. These scythes should not be sharpened on a grindstone. They were hand-wrought and should be hand-sharpened. While working the scythe the blade is kept keen by regular honing with a whetstone, but eventually its edge is no longer drawn to a thin taper and needs to be hammered out (peened), as I demonstrate here. 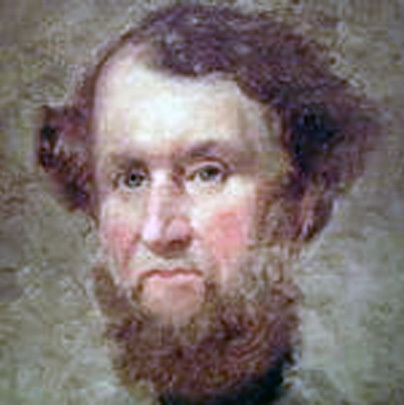 This entry was posted in Other and tagged Cyrus McCormick, scythe. Bookmark the permalink.